A leading economist has said Ireland needs to implement debt writedowns for struggling mortgage holders. 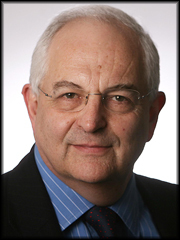 Chief Economics Commentator with the Financial Times, Martin Wolf, said both the banks and the Government need to accept losses in order to clean up the balance sheets of the country’s financial institutions. He said the decision to bail out all of the creditors of the banks was a mistake and there must be some writedown of mortgage debt. Mr Wolf said: “The writedowns of those and the restructuring of those need to occur, otherwise you have too much zombie debt in the banks, that makes if very difficult for them to make new loans and people are trapped in their houses.